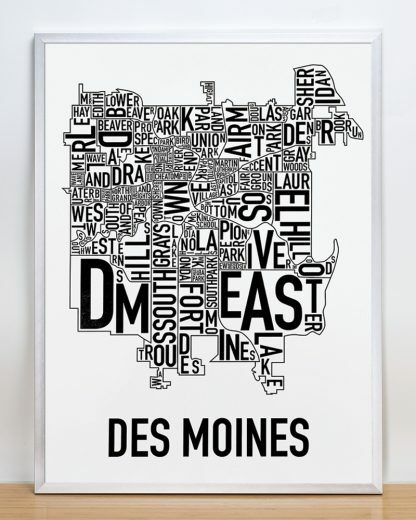 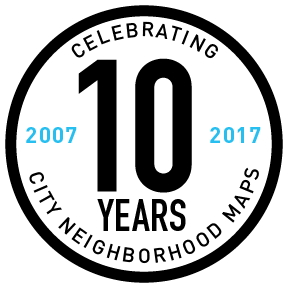 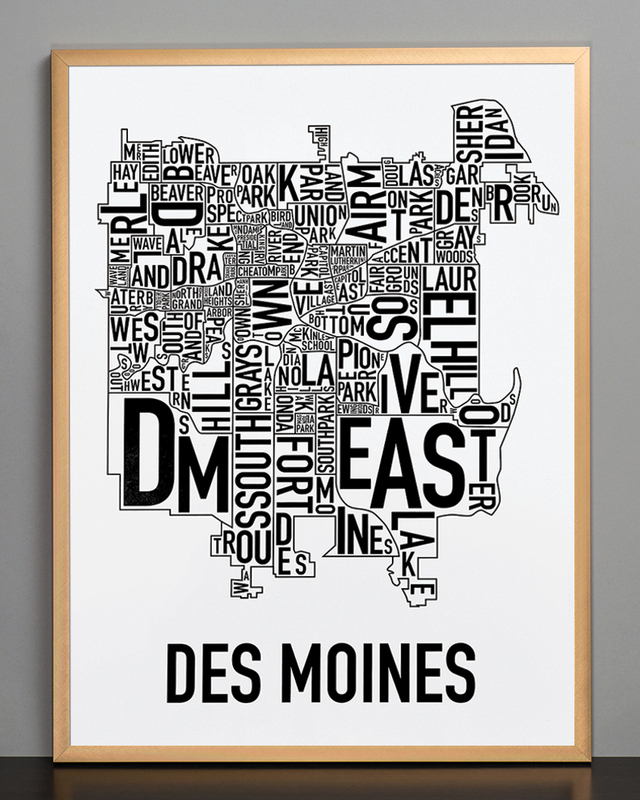 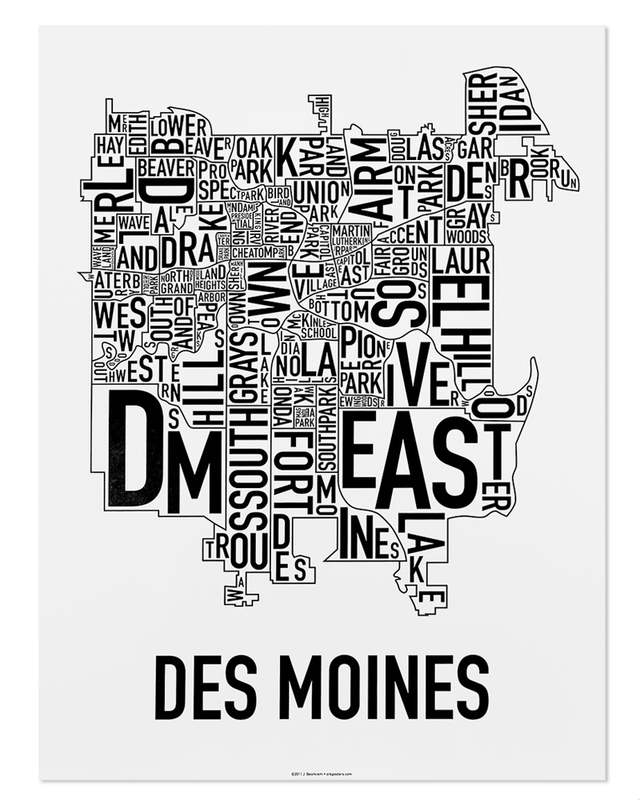 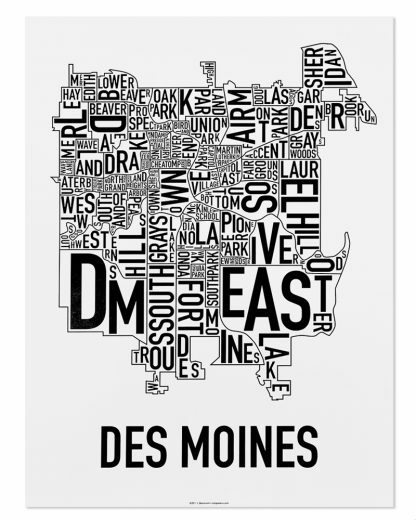 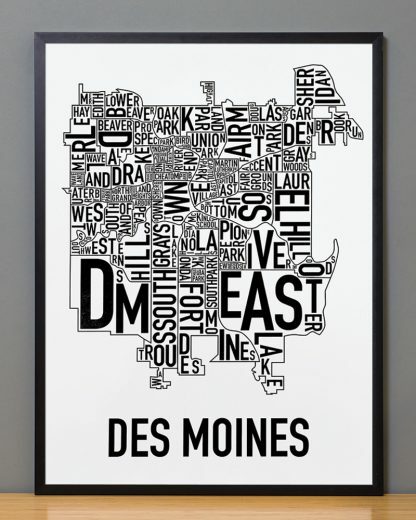 18″ x 24″ typographic map of the neighborhoods within the city limits of Des Moines, Iowa. The letters of each neighborhood’s name are twisted and turned to fit inside the area of the neighborhood. 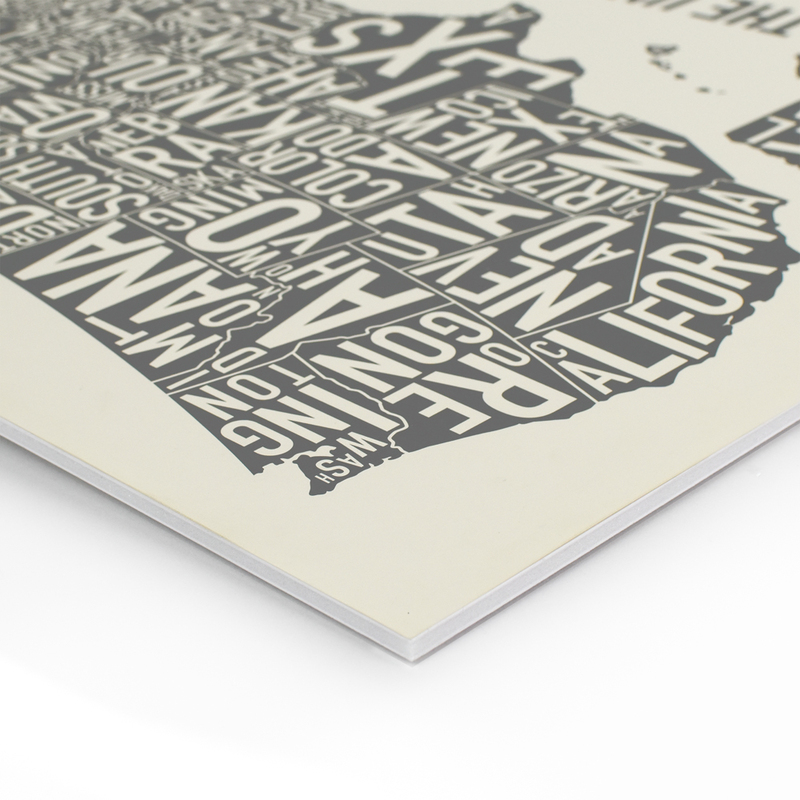 Because we care about impressing you, Ork Posters uses only the highest quality of print methods. 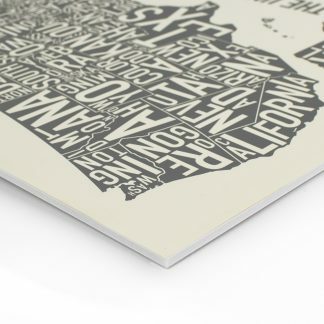 This poster is offset printed which offers an extremely sharp and clean print, saturated colors, and archival properties to be sure the printing won’t fade over time. 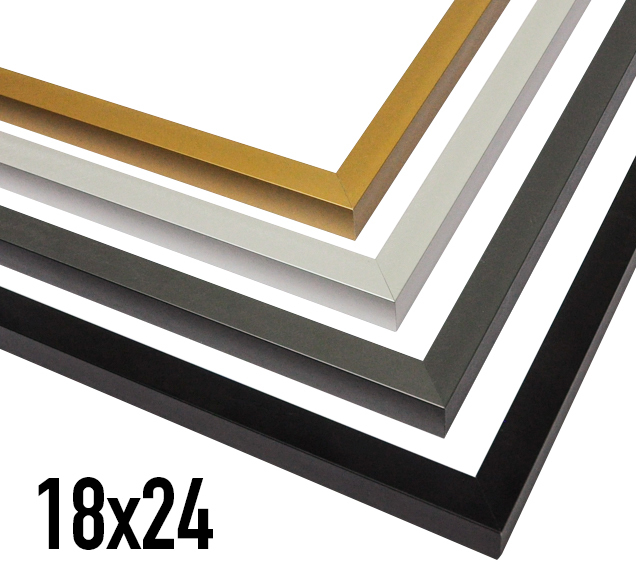 3/4" square profile (except white), metal frame with acrylic front and foamcore back. Made in the USA. 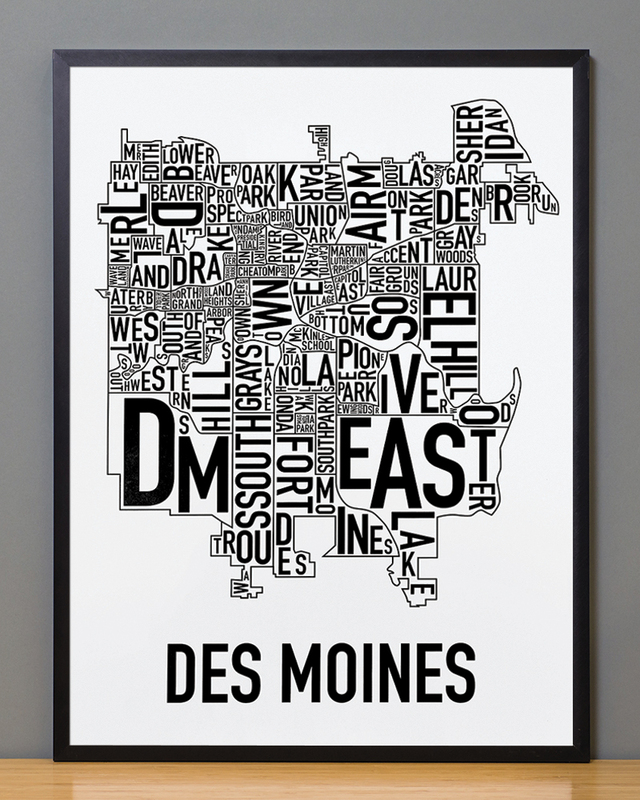 Arrives assembled and ready to hang.